Halloween is over and Little Dude and I have been indulging the chickens by giving them the shells of the jack-o-lanterns as treats. I broke them up and put them in strategic places around the barnyard where the flock could find them. It’s fun to watch them run out in the morning and peck at them. 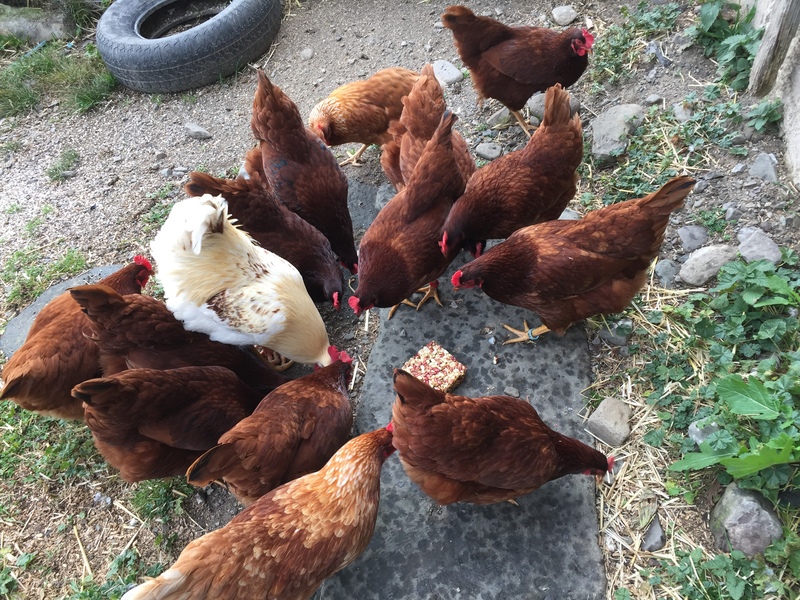 Yesterday, I included a Happy Hen Treats Mealworm & Peanut treat square. I’m intending to make my own suet cakes to use as winter treats, so I wanted to see how they would react to one. In general, they loved it. It was gone by lunchtime. 🙂 I’m not sure if I’m going to use peanuts in the ones I make, but I’ve got scratch grain, wild bird seed and mealworms. I’d love to know what you put in your suet cakes. 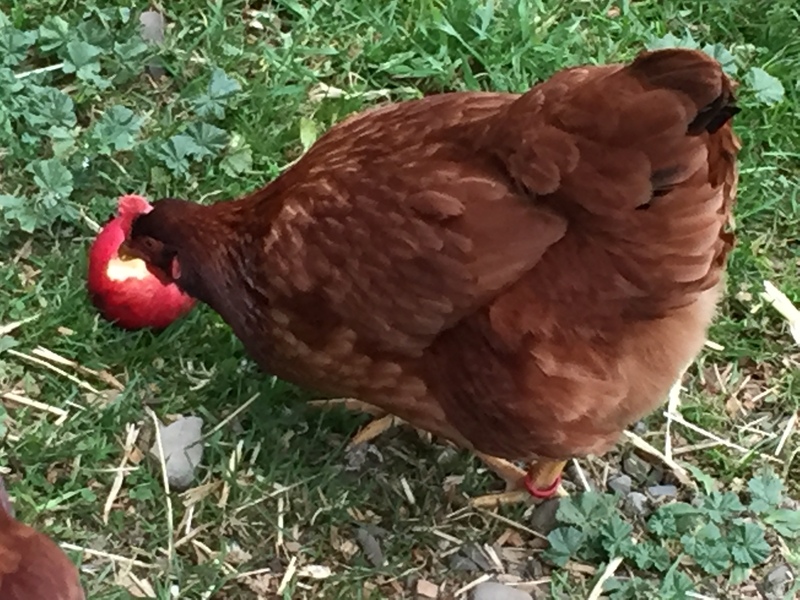 My chickens love apples and pumpkin too. I didn’t have much luck with suet cakes that I made – I had put in some sunflower seeds and peanuts, they weren’t very excited about those. They did like the scratch grains that were in them; I ended up giving the rest of the suet cakes to the wild birds around our house. My babies weren’t sure about the pumpkin the first time, when I gave them bowls of guts and seeds, but the really enjoyed the jack-o-lantern shells.